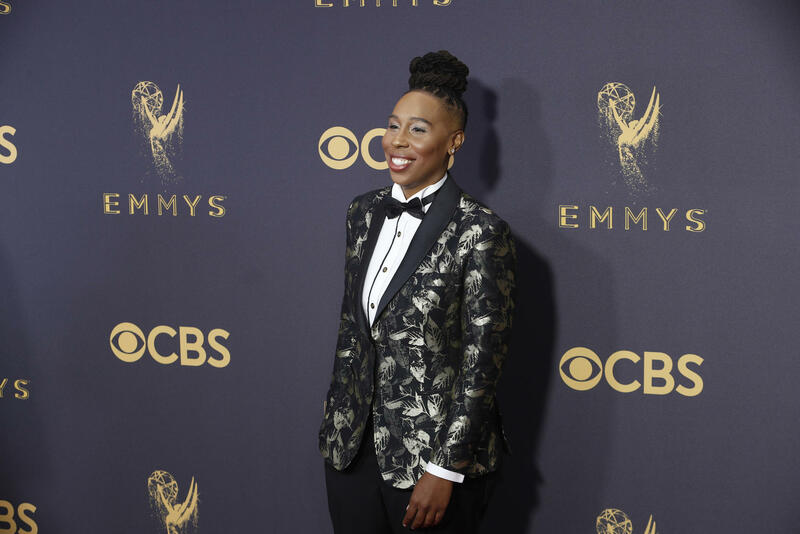 “Master of None’s” Lena Waithe made history at the 69th Emmy Awards on Sunday, becoming the first black woman ever to win in the category of writing for a comedy series. Waithe, who plays Denise in the Netflix series, co-wrote the “Thanksgiving” episode with “Master of None” co-creator Aziz Ansari. Her nomination also marked the first time a black woman was nominated for a comedy writing Emmy. In fact, the only other woman of color ever nominated in the category is Mindy Kaling. Kaling was nominated in 2010 along with co-writer Greg Daniels for their work on “The Office” episode “Niagara” (and the award that year went to the writers of the “Modern Family” pilot). The Emmy-winning “Thanksgiving” episode follows Denise as she discovers her sexuality and comes out to her friends and family over the course of five Thanksgivings spanning 22 years. While Waithe was hesitant about telling a “coming-out story” in 2017, Ansari and Alan Yang convinced her it was a story best told by her. "When a straight, white guy is, like, ‘ 'Thanksgiving' was my favorite episode,’ that’s when art is doing its job, when he can look at my character and go, ‘I can see myself in her,’" said Waithe.